The Liberal government has deferred justice for working women by delaying the introduction of pay equity legislation until the end of 2018, the Canadian Union of Public Employees (CUPE) said today. Yesterday, the Liberal government issued its response to the Report of the Special Committee on Pay Equity. While acknowledging the gender wage gap and the need for a proactive pay equity model, the government has now said it will wait years before acting. 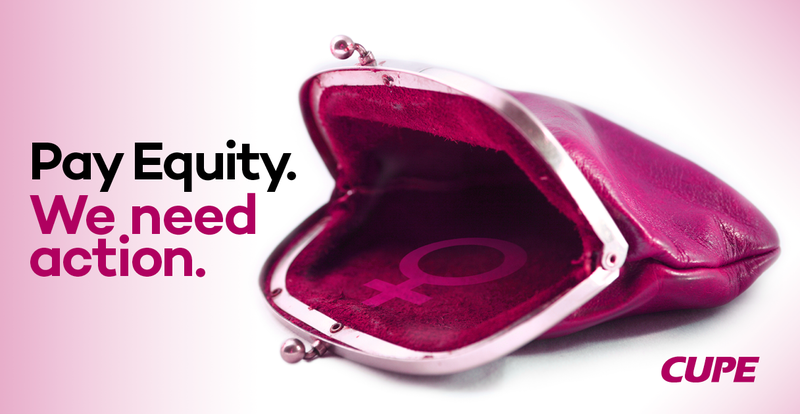 CUPE is repeating its call for pay equity legislation without further delay. Canada’s largest union is also calling for the repeal of the Public Sector Equal Compensation Act, brought in by the previous Conservative government in 2009. “This legislation limits the rights of women in the federal public service to challenge wage discrimination and should be repealed immediately”, Hancock said. There is no reason to go back to the drawing board with consultations, Hancock said. The 2004 Pay Equity Task Force did that work, with thorough research and expert input over many months. By proposing consultations, the federal government is stalling, holding back wage justice for tens of thousands of workers.